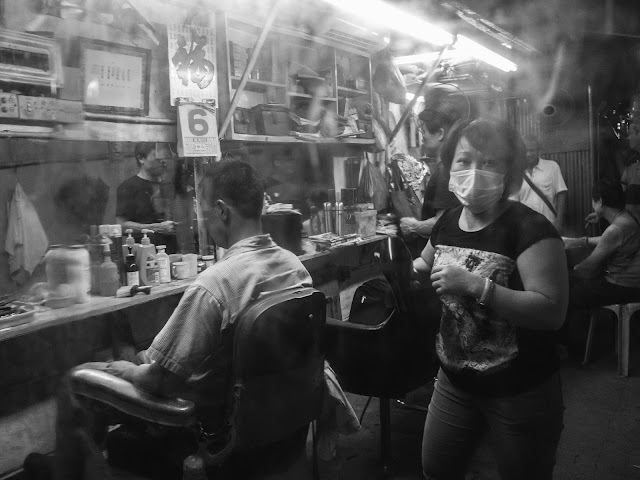 I took this shot and shown it to my mother, she liked it a lot said it looks like the 60s except the barber with the mask. P.S. I shot through the transparent plastic curtain to create that vintage and blurry look, not by post processing.